One of the most frustrating situations for a homeowner to walk into is a flood resulting from an appliance leak. Leaks of this nature have the potential to cause severe damage, as they often allow hot water to run freely. Hot water infiltrates porous surfaces much faster than cold water, which in turn may cause buckling to nearly any type of flooring or fixture. There are many reasons that an appliance may malfunction. Thus, in the case of appliances with a water supply line, it is imperative that they be inspected periodically. These inspections will help you prevent, detect, and correct any brewing issues. Below are a few examples of what can go wrong with the appliances we depend on and use on a daily basis. Dishwasher – Dishwashers will typically malfunction in one of three ways. The water supply and drain lines may crack or come loose from their connections. The drain may clog, causing a build up of water and eventual overflow. Finally, the door gasket may tear or become warped over time. In any event, a dishwasher has the potential to release a great amount of water, causing significant damages to flooring and cabinetry. Refrigerator – If your refrigerator is equipped with a water and ice dispenser, it also has a water supply line. As with washing machines and dishwashers, a refrigerator’s supply line may crack, burst, or simply come loose over time. Periodically checking the integrity of the water supply line will help you to avoid an appliance leak and resulting water damage emergency. 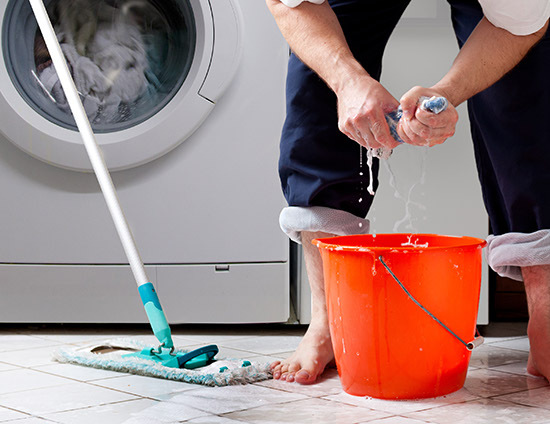 Washing Machine – Take note that the water supply hoses are the most frequent culprit for water leaks and flooding. They are constantly pressurized, and with time, these hoses may dry out or even burst. Other hoses, pumps, and fittings within the washing machine may malfunction as well. Water Heater – When a water heater malfunctions, the results can be catastrophic. Pipes, fittings and the tank are all susceptible to aging, wearing, and in the case of the tank, cracking or bursting is a frequent issue. Be on the look out for water or wet spots under or around the water heater, this is often a forewarning sign that it is time to act. Air Conditioning – While you may not consider the air conditioner in this category, rest assured that it is. These units are often the cause of slow steady leaks which often go unnoticed. Given enough time, these leaks can result in structural damage, as well as mold and mildew issues. NOTE: For all of the above appliances, it is important to check underneath and around the unit for signs of mold and mildew. Slow leaks, over time, can inflict serious damage to the structure, integrity, and value of your home. Once flooding has occurred, the value of your property is at risk. Structural damage, drywall damage, buckling wood fixtures, flooring, and mold growth are all potential results of an appliance malfunction. 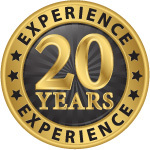 When you call AWDR, we will immediately dispatch the nearest certified technician to help you take control of the water damage and restoration process. Ensuring that your home is properly dried and repaired will help to avoid costly future repairs and avoidable out-of-pocket expenses. When you need us, we are here! 24 hours a day, every day, we stand ready to provide water services when you are in need. 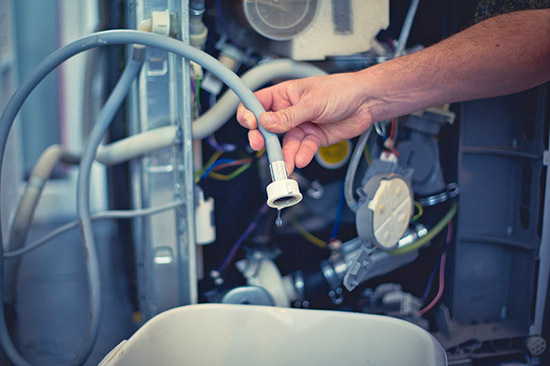 For appliance leak cleanup services, contact us now!